Orchard Meadows Apartment Homes is located in the heart of Ellicott City, MD. Situated in the Patapsco River Valley and purportedly built on a series of seven hills, Ellicott City proudly displays its rich and interesting history. The nation’s oldest surviving train station resides here, and myriad historic sites and museums dot the town. Ellicott City also boasts a thriving arts scene and offers a plethora of parks and trails like Centennial Park, Patapsco Valley State Park, and the historical Trolley Line #9 Trail. The Chesapeake Shakespeare Company is highly regarded for their energetic performances, while the Old Town Market provides live music in a Saturday farmers market setting. Conveniently located near Walmart and H Mart you can do your groceries in no time on your way back from school or work. 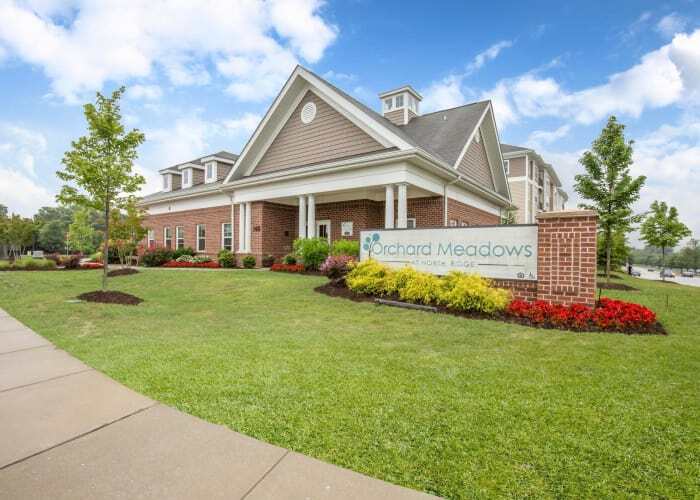 Orchard Meadows offers a close proximity to University of Maryland, Baltimore County and provides central access to Ellicott City’s major employers and schools of the Howard County Public School System. The spacious 1 & 2 bedroom apartment homes for rent at Orchard Meadows are modern and bright, carefully designed to not only exceed your aesthetic expectations but also to bring luxury to your everyday life. More of a good thing is exactly what you deserve and exactly what you’ll find at Orchard Meadows.